Helsinki is a unique mix of influences from the Nordics and the East. The city center is small enough to navigate by foot but offers a thriving underground cultural scene and more than 50 annual city festivals. Finland is a world leader in clean technology and Helsinki is very environmentally conscious with 90% of all bottles and cans recycled. The society prides itself on one of the best primary and secondary education systems in the world, equal opportunity and tolerance, creating a high standard of living and welcoming environment for innovation and tech start-ups. Helsinki is one of the top ten city matches for 3.6% of Teleport users. Software Engineer salaries in Helsinki are above average. For this job type, Helsinki ranks 121st for salaries among 265 cities. Get access to our salary comparison calculator by signing up. Compare salaries city by city with our free salary wizard and convert your own salary to a local salary in Helsinki. Do locals recommend living in Helsinki? How could Helsinki improve to make it a more liveable city? We will make sure that the local government will know about the suggestions that reach enough votes*. Is Helsinki a great place to live? What makes it special for you? What makes it liveable? What should others know about? Why should they move here? Why do you love it? Let the jobs come to you! Sign up with your email and we’ll start working on getting job offers from Helsinki delivered to you. It's free. No strings attached. You can unsubscribe anytime. The overall crime rate puts Helsinki in position 32 of 266 Teleport Cities in a ranking for the safest cities. 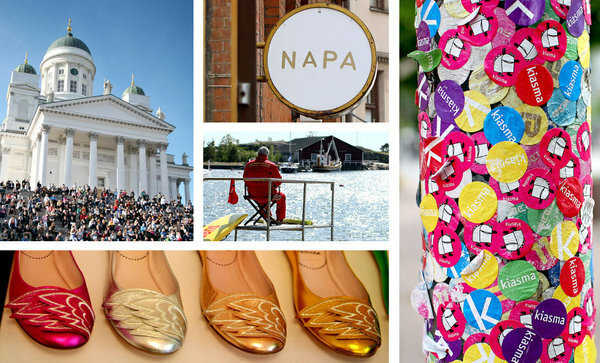 As Helsinki celebrates a major anniversary and its status as World Design Capital, spend a weekend discovering the city’s creative energy and its long, sun-soaked days. The "Daughter of the Baltic", Helsinki (Finnish) (Helsingfors in Swedish) is Finland's capital and largest city. Founded in 1550, Helsinki became the capital of the Finnish Grand Duchy in 1812, when the Russian Empire rebuilt it as a miniature St. Petersburg, a role it has played in many a Cold War movie. Today, Helsinki is a city of 600,000 people, combining the atmosphere of an international metropolis with the coziness of a small town. The city is best seen during its short summers, when the sun brings the outdoor bars and cafés to life and even the nights are light. While visiting in winter is more of a challenge, Helsinki is one of few large cities in Europe with a good chance for snow on Christmas. Within Helsinki itself, the city center is on the southern peninsula at the end of the city's main thoroughfare Mannerheimintie (or just Mansku). Both the central railway station and the main bus terminal are in the city center. Shopping streets Aleksanterinkatu (or Aleksi for short) and Esplanadi (or Espa) connect to Senate Square (Senaatintori), the historical center of the city. See the Helsinki Guide Map for an interactive searchable map of the city. You know your business needs, we know the opportunities in Helsinki region. Let's hook up? Accelerating the most promising startups of Nordics, Eastern Europe, and Russia. Slush is the focal point for startups and tech talent to meet with top-tier international investors, executives and media. Aaltoes organizes networking events, trips, and a summer accelerator program among other things in order to strengthen the Finnish startup community.